I am wanting to restore and view deleted iMessages, what should I do now? Assume that you haven’t synced your iPhone recently, how to restore deleted iMessages from iPhone? 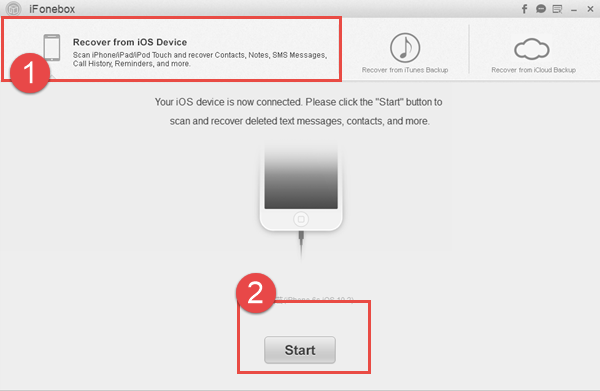 Do not worry too much, here’s a solution for you to retrieve deleted iMessages on iPhone effectively and conveniently. iOS update failure and more. I am wanting to restore and view deleted iMessages. My youngest daughter was playing around with my phone and somehow deleted my iMessages, which I am needing for work. What should I do now? Any suggestions? iPhone 7 Plus, iOS 10.3.1. Thanks!!! Now, there is no need to feel depressed anymore, because iFonebox is definitely help you restore deleted iMessages from iPhone. No matter how you lost the data on iPhone, or whether you synced the device to backup recently. 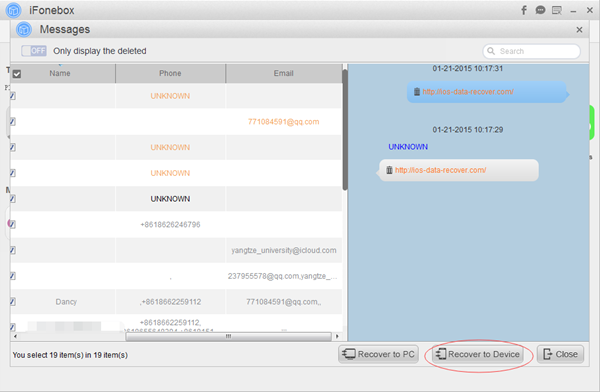 iFonebox is excellent in data detection and recovery right from your device, so once your iPhone data get lost accidently, preventing data from being overwritten will be the priority. Also Read: How to retrieve lost messages without iTunes backup after an iOS 10.3 update? Actually, you’ll be provided total three extraordinary working modes to retrieve deleted iMessages on iPhone. View and recover iMessages from iCloud or iTunes to iPhone also seems a recommendable option for you, which highly increases the possibility of data recovery. Aside from that, it can’t be imagined that iFonebox is able to selectively restore your backup and wouldn’t lead to loss of new data on your device. 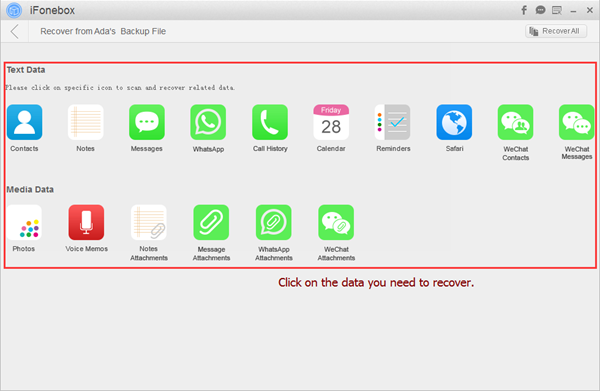 In addition to recover deleted iMessages from iPhone, you’ll be pleasantly surprised by this multifunctional application. iFonebox is also a great transferring tool that help you save pictures or videos from iPhone to computer easily. Furthermore, you’ll be also allowed to preview the specific data in backup then get them back separately. The interface of iFonebox is intuitionistic and friendly-to-use, I will show you the illustrative instructions next, before we start, please download the right version of our program for your computer. How to recover deleted iMessages from iPhone effectively? Step One: Launch. Run the iFonebox and keep connection over an USB cable. If this is your first time to use, you have to click the Trust on your device to response, then you’ll see a start button, click it, and it will show you another interface. Last Step: View and Recover. When the scanning process finishes, you can see all your deleted iMessage conversations in this program, and you can get them back only click the button Recover to Device at the right corner of the interface.